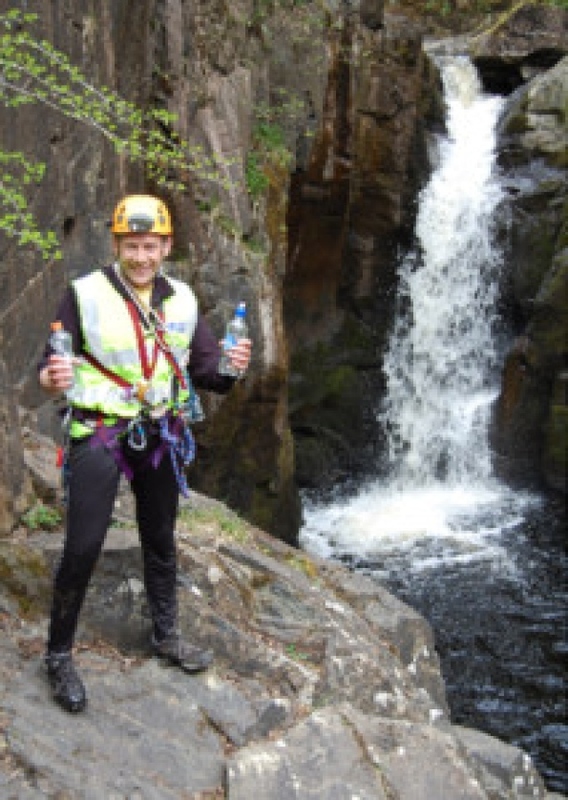 Clapham Cave Rescue Organisation spent the recent Bank Holiday weekend carrying out an extreme litter pick at the waterfalls walk in Ingleton. This involved 12 members of the team abseiling down the gulleys and cliffs to collect the unsightly bottles and wrappers left by the less thoughtful visitors to this Dales attraction. Eight big bags of rubbish were collected, along with some more unusual items including a new football, a chair, cones and a bicycle. As this was going on, other members were manning a trailer that shows what the Cave Rescue Organisation gets involved with. The team collected £125 on the day. The waterfalls company kindly agreed to assist with finances for the litter pick. The organisation’s trailer was also in evidence at the Wray fair this year, where another £125 was raised for the funds. The Beehive café in Settle handed over a cheque for £120 at the fair. If you would like to donate, please go to www.cro.org.uk where the Just Giving details are listed under the fundraising banner.